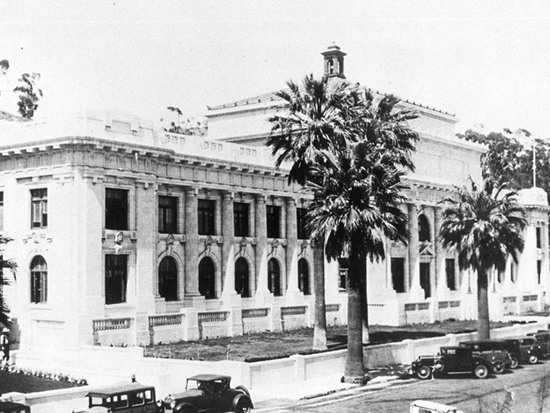 The second of Ventura County's courthouses was turned over to the City of San Buenaventura for use as its city hall after construction of a new county center in 1978. This ornate building, which features a series of gargoyle-like monks' faces along the façade and is listed on the National Register of Historic Places, is dramatically situated on a hill with full views of the city and the Channel Islands. One of the most celebrated defense attorneys who practiced at the courthouse was Erle Stanley Gardner, the creator of the Perry Mason mystery series, who worked here in the 1920s and 1930s.